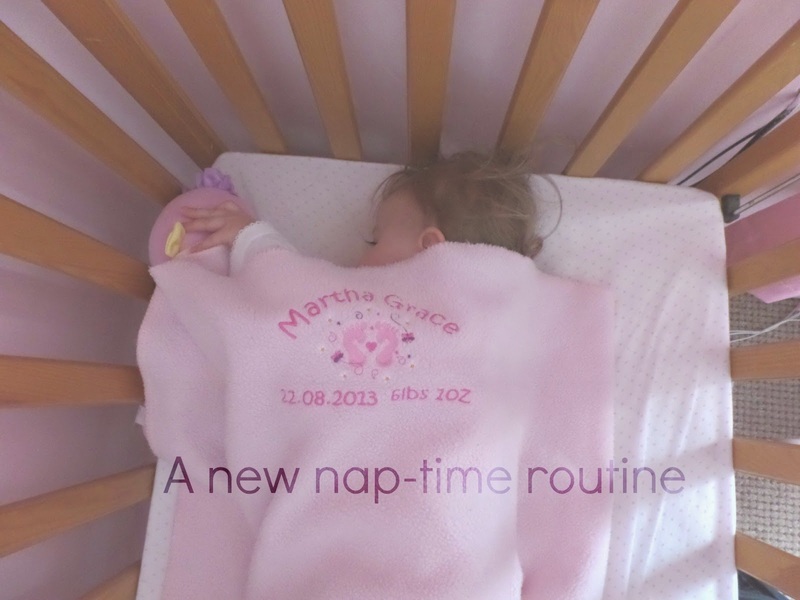 Martha Grace is only 19 months old, she is also a cardiac baby so she needs a nap during the day. There are days when she can manage without one but she becomes over tired and it's a struggle to get her to eat her dinner or her supper. Ideally I would love to to be able to feed her lunch and put her straight in her cot for a nap, this works well if we're not going out on a Saturday or Sunday and she will sleep for a good couple of hours. But it's a bit of a non-starter during the week. bed - so I find that I've been waking her not long after she's fallen asleep and she's not having a nap. So on Tuesday I tried a different approach; I put Martha down for her nap at 11;30. If I'm being honest I thought it was a waste of time and that there was no way she would sleep - but she proved me wrong. After babbling to herself for a few minutes she snuggled in with her Teddy and went to sleep. She woke up shouting for me at about half 12 which means she only slept for about an hour, but it was more than she was previously getting of an afternoon when she would fall asleep during a 5 minute drive to school and be woken up to get out of the car. The most important thing though is that she was in a great mood for the rest of the afternoon, ate all her dinner and supper with minimal fuss and was fast asleep in bed by 8pm. I'm going to try to carry on with this new routine for as long as it works for us, some days I know it won't be possible as we'll have plans and days where we need to be out of the house and in certain places at a certain time, but as of Tuesday - this is Martha's new nap-time routine.